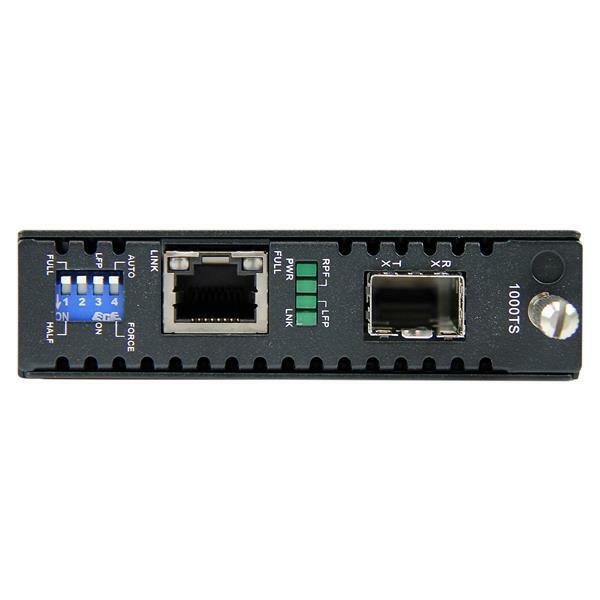 The ET91000SFP2 Open SFP Fiber Media Converter converts and extends a Gigabit Ethernet connection over fiber, using the Gigabit SFP of your choice. 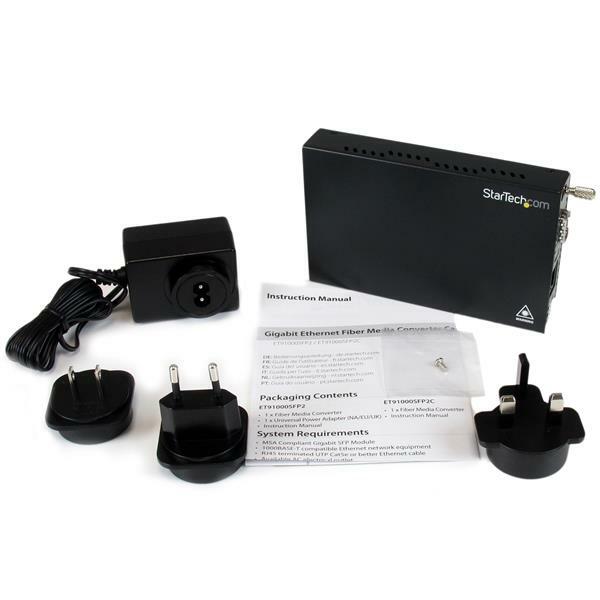 A versatile solution for connecting an Ethernet (1000Base-T) network to remote network segments over a fiber backbone, the media converter features an open SFP slot that lets you choose the MSA-Compliant Gigabit SFP that best suits your fiber connection mode (single / multi-mode) and distance requirements (see our full line of for compatible solutions). The fiber to Ethernet converter has a durable all-steel chassis and offers simple plug-and-play installation, while support for full-duplex operation and Jumbo Frame support provides efficient network operation. 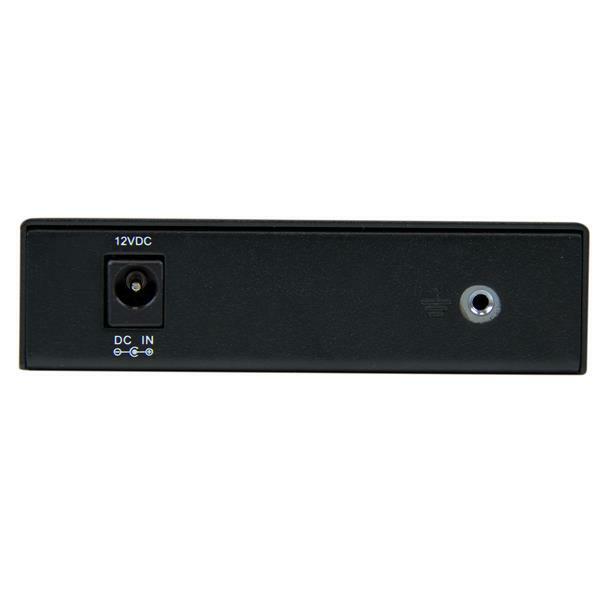 For added versatility, this Gigabit media converter supports standalone operation, or installation into the 20 Slot, 2U Rackmount Chassis (ETCHS2U). 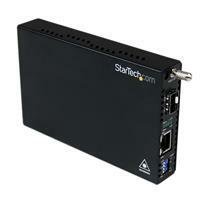 For applications where multiple chassis-mounted media converters are required, this Gigabit media converter can be purchased as a Card Module only (ET91000SFP2C).